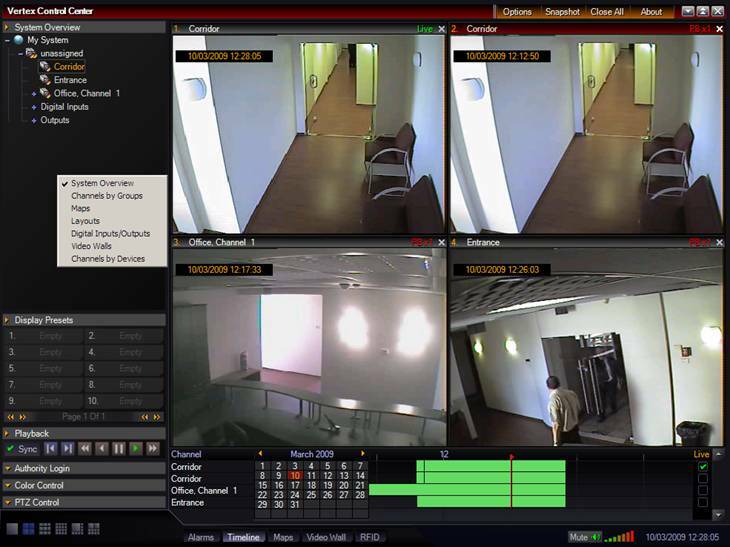 Vertex is a security Command&Control communication software including video management and network recording application, it is a stable open platform VMS. from first alert of intruder attempt from sensor till alarm is set off. · The software is windows client server based and capable of managing thousands of cameras deployed at various sites. · There are no geographical limitations and a multiple networks support is available to fit each specific installation. · Advance alerting capabilities integrating leading video analytics, video cameras, intelligent fencing sensors and any other alerting system such as security alarms, safety systems or Access Control systems. · The Vertex supports unlimited number of sites, unlimited number of users, and unlimited number of cameras all commanded and controlled via one intuitive interface.